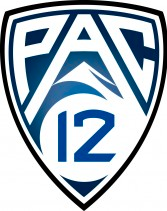 WALNUT CREEK, Calif. – Seven different men’s teams and seven different women’s teams from Pac-12 tennis saw players receive ITA Division I Regional Awards, as announced by the organization yesterday. For the men, John Morrissey of STANFORD and Ray Sarmiento of USC received the ITA/Arthur Ashe, Jr. Sportsmanship & Leadership Award for the Northwest and Southwest Regions, while Trojan Roberto Quiroz was named the Player to Watch for the Southwest Region. UCLA picked up Senior Player of the Year and Rookie Player of the Year for the Southwest Region with Clay Thompson and Mackenzie McDonald, respectively. CALIFORNIA’s Filip Bergevi received Rookie of the Year for the Northwest Region. WASHINGTON’s Max Manthou was tabbed as the Most Improved Senior of the Year for the Northwest Region and Ben Tasevac received the honor for the Mountain Region for UTAH. OREGON head coach Nils Schyllander was voted Coach of the Year in the Northwest Region, while three assistant coaches received regional Assistant Coach of the year honors: Utah’s Roeland Brateanu in the Mountain Region, Stanford’s Brandon Coupe in the Northwest Region, and USC’s Krzysztof Kwinta in the Southwest Region. This entry was posted in PAC-12 / NCAA News and tagged Ben Tasevac, Brandon Coupe, Clay Thompson, Filip Bergevi, ITA Assistant Coach of the Year, ITA regional awards, ITA Senior Most Improved Player, John Morrissey, Krzysztof Kwinta, Mackenzie McDonald, Max Manthou, Nils Schyllander, Pac-12, Ray Sarmiento, Roberto Quiroz, Roeland Brateanu. Bookmark the permalink.